Heat the olive oil in a saucepan. Saute the pepper, onion, jalapeños and mushrooms for about 5 minutes. Remove from the heat and season with salt and ground pepper to taste. Let cool. Mix the cream cheese and sour cream in a medium bowl with an electric mixture at medium speed, season with salt and ground pepper. Add the jalapeño and mushroom mixture, stir with a wooden spoon until everything is well combined. Refrigerate for 2 to 3 hours before serving. Serve with crackers or toasted bread. Enjoy! If you don't like spicy food, you can omit the jalapeño peppers. I have a bit of a weakness. If you offer me a dish of crudites with fresh vegetables and salty crackers, I simply can't say no. 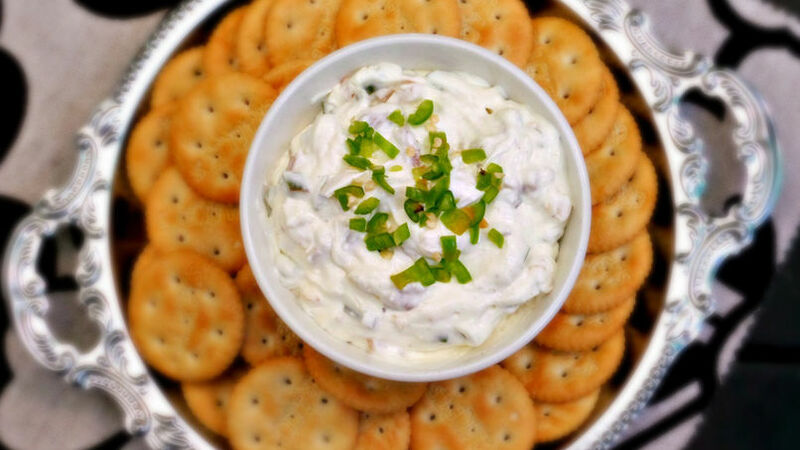 More so if there is a delicious dip to serve with it, like this jalapeño and mushroom dip. It's creamy, light, spicy and completely irresistible. It's perfect to serve at a picnic, family barbeque, birthday party, graduation or even a sweet sixteen.